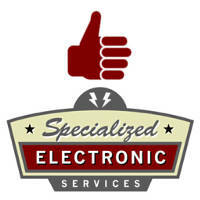 At Specialized Electronic Services, we are one of the largest Square D Service and Warranty Centers in the Southern U.S., and we are experts in Square D VFD Drive repair. 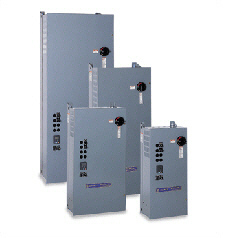 We can sell, service, and repair the entire Square D VFD product line. We have extensive design and start-up experience with all Square D products. Specialized Electronic Services has factory authorized and trained field technicians and engineers that can work on your Square D VFD drives at your facility be it for a start-up or troubleshooting or retrofit an obsolete VFD drive with a current version. We are able to work with many distributors of Square D VFD drives so even if you purchase a drive from somebody other then us we can still offer you a factory authorized startup if your distributor does not have a trained field service technician on staff. Below is a partial list of the Square D Altivar units we have worked on. The Square D AC drives listed below are obsolete. We have the ability to fix them in many cases still and if they are not fixable we can retrofit your obsolete unit with the current modern equivalent unit. We are constantly working with the Square D Factory to ensure our technicians and programmers are well versed in the newest Square D products. Be sure to contact us for any application, sales or service questions you may have. We have Square D Altivar AC drive sales often so call us to compare pricing if you feel you have been paying too much. Call and ask for sales for your quote at 1-800-681-7374. All Square D VFD’s listed below are for sale, some (marked with a cart icon) are available for immediate purchase on our SES secure checkout! Almost all the Square-D VFD’s and motor starters (contactors) listed above are in stock in Dallas Texas ready to ship today. We can help you with which product will work best for you if you are not sure. We have trained technicians that can help with sales on the phone so you can feel confident that you are buying exactly what you need. We will ask you a few questions about your application and then can tell you with Square D vfd product will best work for you. Call and ask for sales to place an order for your Square D vfd drives or ask for technical support if you need to cross your obsolete Square D vfd part number to a current model part number.